These Dragonfly dishes with embossed border are a MUST HAVE for Dragonfly lovers! Imagine the dragonflies dancing around your next meal. Each dragonfly plate is individually thrown on my pottery wheel. Approximately 10.5 and 7.5 inch diameters. Dragonfly pottery plates are microwave and dishwasher safe. Bowl is approx 7.5 x 2.5. These handcrafted dragonfly dishes are glazed with Birch, lead free glaze over dark brown clay resulting in a unique cream colored glaze with dark brown accented texture. Each dragonfly plate is individually glazed. Natural variations will occur. 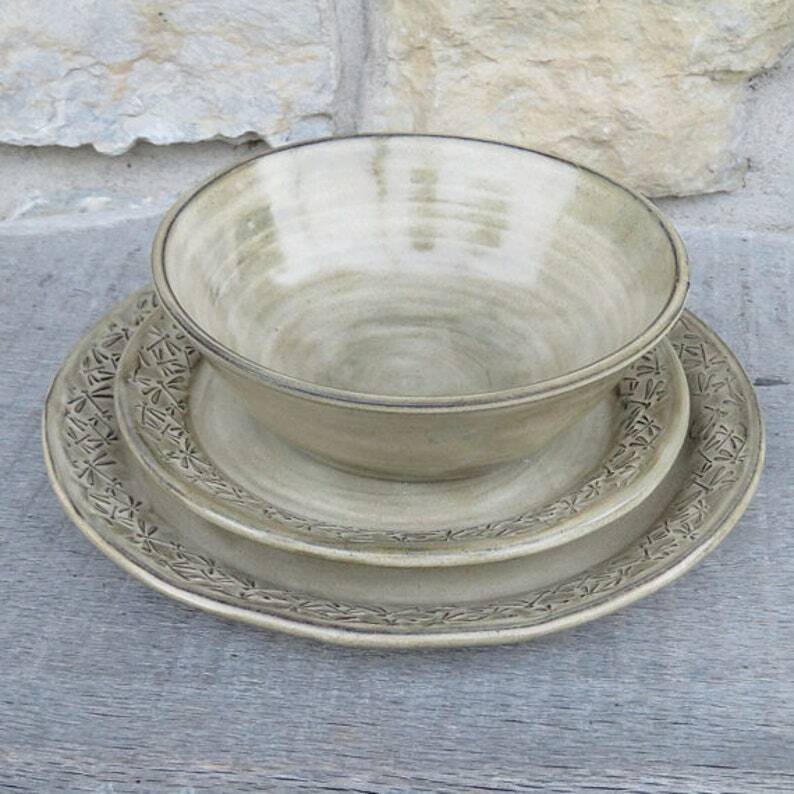 This listing is for ONE dinner dragonfly plate, ONE salad dragonfly plate, and ONE bowl (no dragonfly).